In December 2018, the National Consumer Price Index (CPI) registered a monthly variation of 1.41% and a year-on-year change of 18.60%. In turn, the Consumer Price Index in the province of Luanda registered an annual variation of 18.21%. In the months of November and December 2018, a total flow of AKz 638.97 billion was traded on the interbank money market. LUIBOR, at overnight maturity, stood at 16.75%, representing a decrease of 1.02 pp compared to its level at the beginning of the year (17.77%). The monetary aggregate M2 in national currency, which brings together all the bank deposits in national currency and the bank notes and coins held by the public, registered a positive change, from AKz 4.36 billion to AKz 4.50 billion in November. December 2018, there was registered an increase of 3.10%. In the last 12 months, this indicator changed negatively by 0.52%. 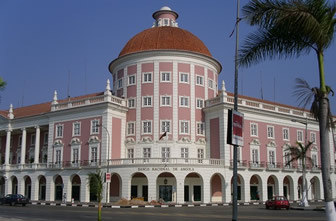 The next ordinary meeting of the Monetary Policy Committee of the National Reserve Bank of Angola will be held on March 28, 2019.